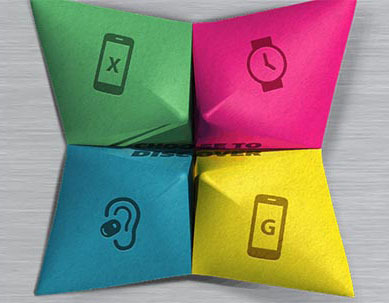 IFA 2014 is coming and Motorola will be making one of its biggest announcements in th year on September,4th. The company has sent out press invites and the hints are very clear. We're in for the announcement of the Moto 360 smartwatch, as well as the Moto G2 and Moto X+1 smartphone duo. Additionally, a new Bluetooth headset accessory is going to get its announcement, at the event. The Moto 360 was announced on March 18 and will finally be launched almost half a year later. The smartwatch leaked in a series of photos recently flaunting its metal body. The wireless charging and the charging cradle were also shown. The price of the watch was rumored to be around €249, but we'll let Motorola have the final say. The Moto X+1 is expected to be the company's next flagship. It's said to come with a Qualcomm Snapdragon 801 chipset along with 2GB of RAM. Earlier reports and different mumblings also had it coming with a 5.1" or 5.2" touchscreen of 1080p resolution, a 12 MP rear camera, and a 2,900 mAh battery. As for the Moto G2, we reported that it's going to ship on September 10 for €250. It's going to be a dual-SIM device with a 5" display of 720p resolution, a Snapdragon 400 chipset with a quad-core 1.2GHz Cortex-A7 CPU and Adreno 305 GPU, 1GB of RAM, plus an 8MP rear camera.